Happy New Year! I’m kicking off 2018 by blogging a whole lot more! 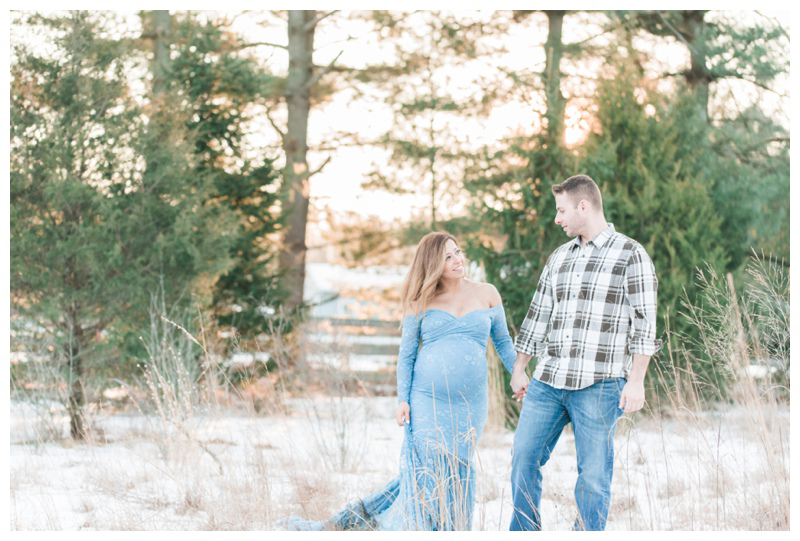 I have so many weddings and sessions to share with you! 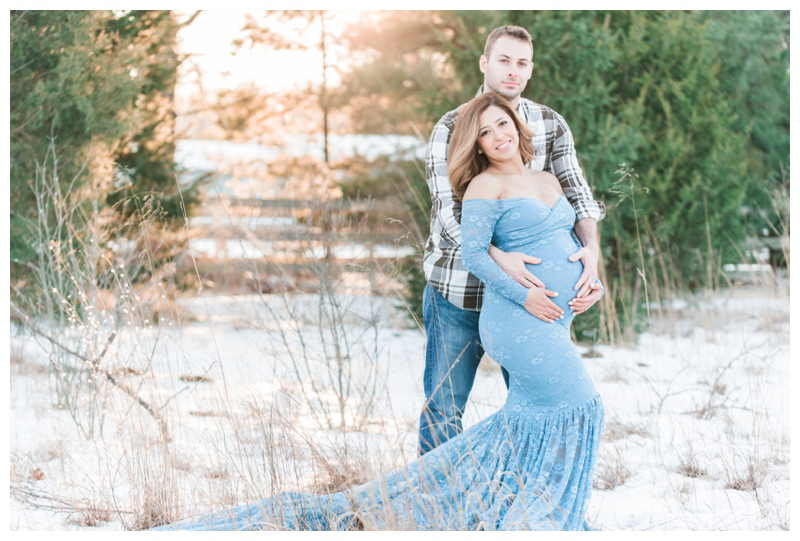 I’m going to start now with a recent maternity session from earlier this week. Jo + Jame are such an adorable couple! 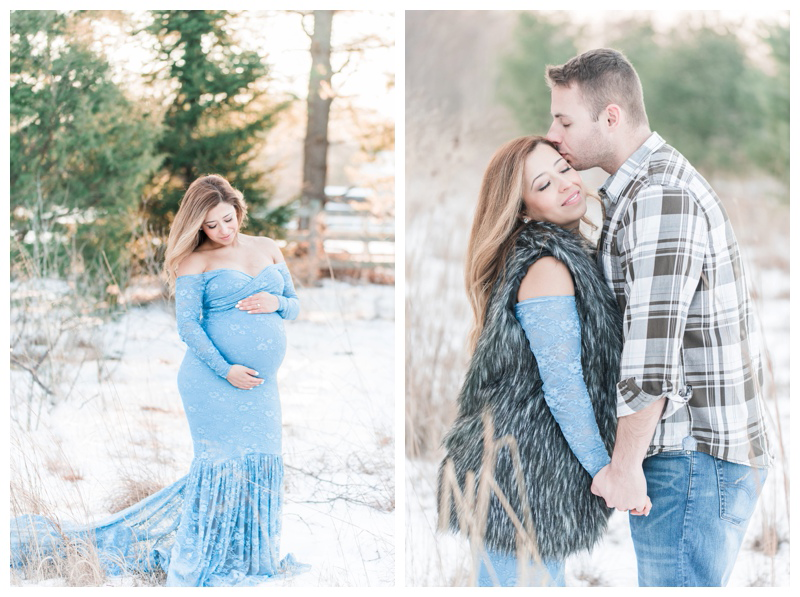 It had snowed a few days prior to their session, and it provided the perfect wintry backdrop. Jo looked stunning in her Priscilla gown from Sew Trendy Accessories. 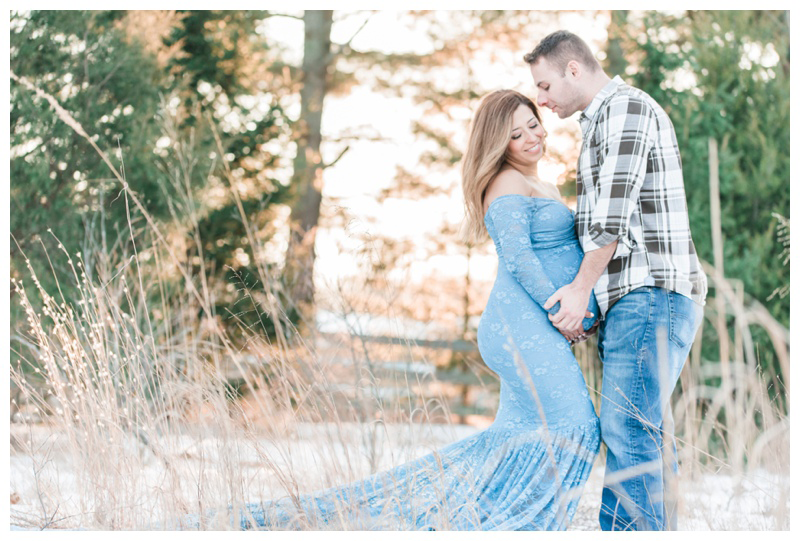 The couple chose a beautiful blue color, because they are having a little boy in March. Below are a few of my favorites from their session.